Rock formations, desert mounts, abanded gold mines, world-class rock climbing, cactus, Desert Bighorn Sheep and Joshua Trees that come right out of a Dr. Seuss book, Joshua Tree may be the most unique of all the National Parks. Located just east of Los Angeles (2hrs) and within eyeshot of Palms Springs and the Coachella Valley, it’s no wonder that these boulders are a playground for some 3 million active people a year. Having spent the better part of 2 decades climbing, hiking and basking in the sun in this desert I wanted to share my list of my top 17 things to do while visiting Joshua Tree NP. This short .37 mile hike takes you to one of the most famous rock formations in Joshua Tree and it’s fun and easy scrambling can be done by your whole family. I suggest going late in the afternoon as the sunset casts a wonderful reddish hew on the rocks that is fantastic for photographs. You also won’t have to worry about hiking out in the dark with its short half mile hike. 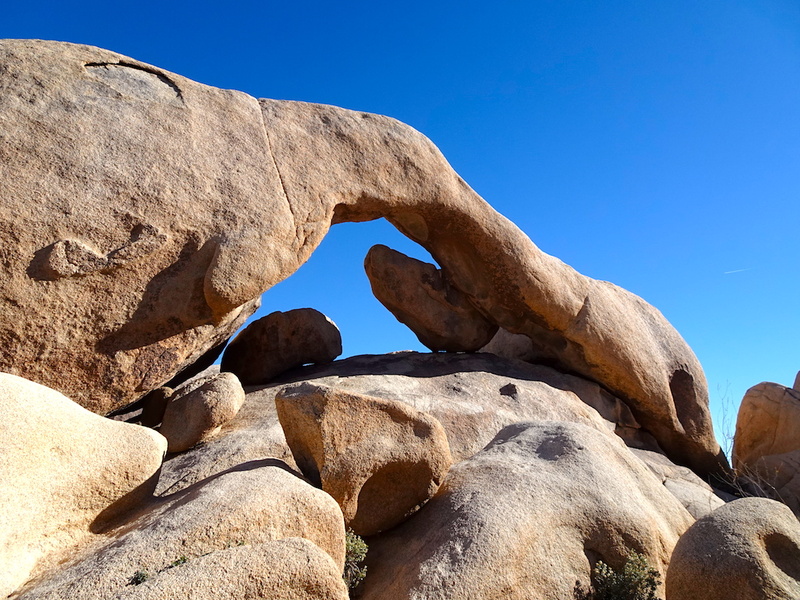 Hikers of all abilities will love this 1.5-mile loop hike through the Wonderland of Rocks in Joshua Tree NP. If you’re lucky enough to be traveling in the winter or spring you’ll be treated to a rare sight in the desert, water. 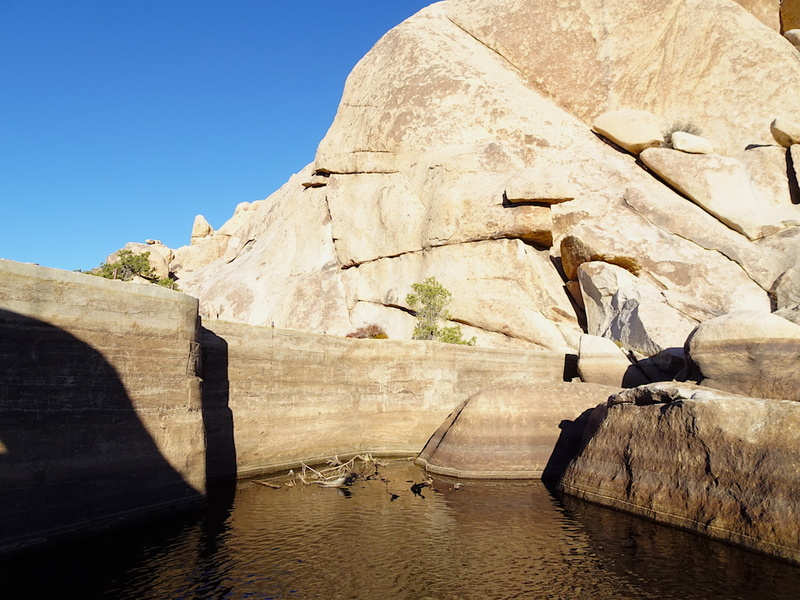 This Barker Dam was constructed in the 1900s and provides the only opportunity to photograph reflecting rock formations in its still waters. I suggest you arrive early and after a decent rain to ensure the best photograph results. If you’re up for a little more of a challenge this 3 mile out and back hike gains over 1,000ft of elevation and gives you a birds-eye view of most of Joshua Tree National Park. This sun-exposed mountain tops out at 5,457-ft and If you’re lucky you could see some of Joshua Trees famous Big Horn Sheep. My pro tip would be to hike Ryan Mountain early and you’ll be in the mountains shade for a large part of the incline. 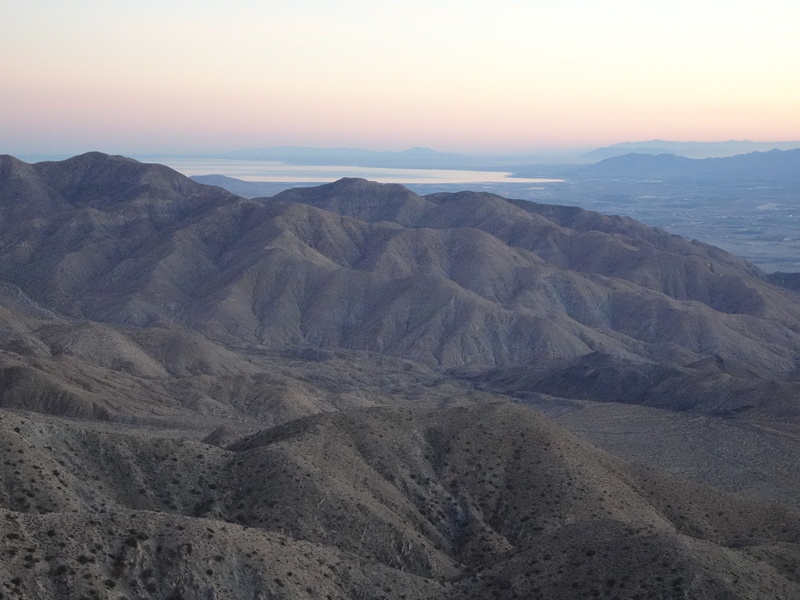 Keys View is a fantastic vista that rests on the top of the Little San Bernardino Mountains and provides panoramic views of Palms Springs and the Coachella Valley. Its easy access by car makes puts this high on the list of things to do in Joshua Tree. From Keys View, you’ll be able to see the San Andreas Fault. You can also catch a view of Southern California’s two highest mountains, Mount San Jacinto and Mount Gorgonio. On a clear day, you can see California’s largest lake, the Salton Sea. 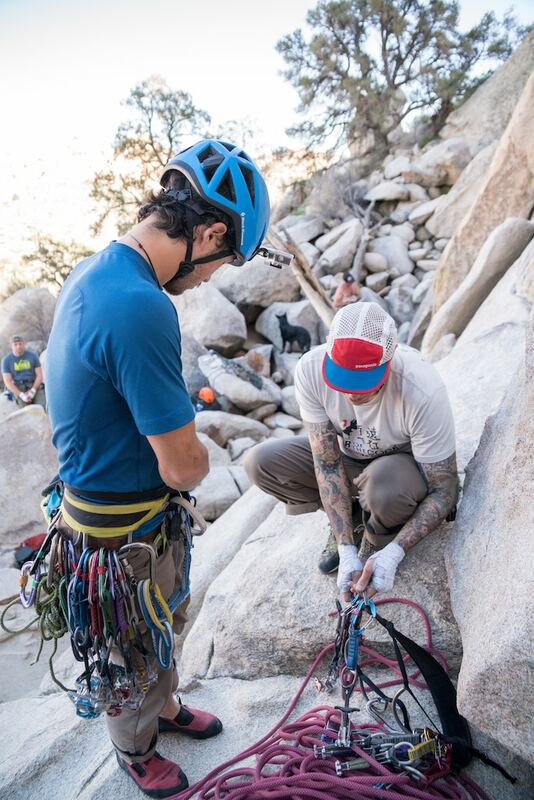 Rock climbing in Joshua Tree National Park is world class and offers traditional crack climbing and bouldering. 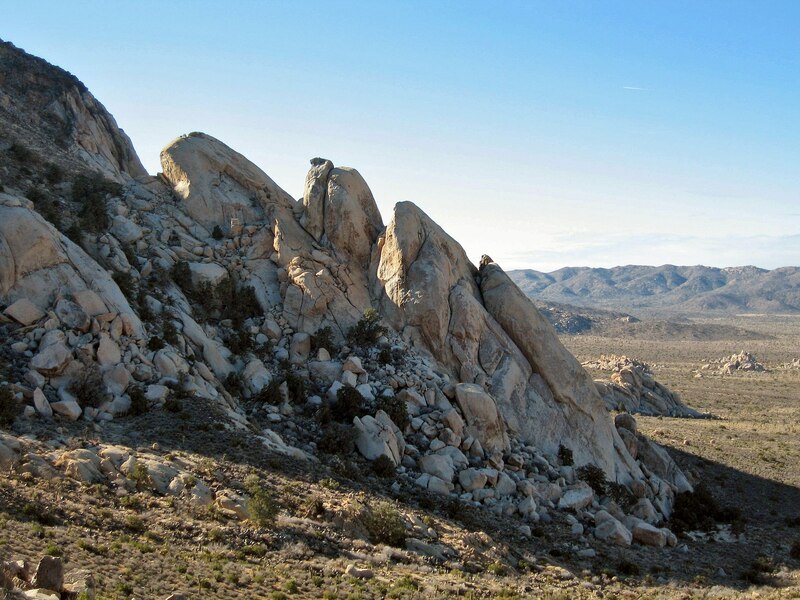 This high desert monzogranite climbing mecca is famous for its traditional-style crack, slab, and steep face climbing. The Joshua Tree’s has almost 800,000 acres of crack climbing. Thousands of options for sport climbers, slab climbers and a good number of multi-pitch classic routes. There are more than 10,000 climbing routes, 2,000 boulder problems and hundreds of rock formations to scramble on. The Cholla Cactus Garden nature walk takes you around the nearly ten acres of cholla cactus in Joshua Tree NP. This flat .25 mile well marked and maintained trail is a great introduction to the Cholla Cactus. Nicknamed the teddy bear cactus because of it’s cute appearance, this is one teddy bear you won’t want to hug. The Cholla Cactus thorns are vicious, one actually flew into my jacket and stuck into me while walking around the nature trail. I was told that it rains in the mountains behind and the water settles in this valley which makes these Cactus so abundant. The Wall Street Mill Trail is located near the Wonderland of rocks in Joshua Tree California. It is considered the best preserved gold mine in Joshua Tree NP. The 2.2-mile (out and back) trail starts at the Barker Dam trailhead or you can save about .6 miles (rt) and park on unpaved Queen Valley. Before becoming Joshua Tree National Park this area was scattered with minors on the hunt for gold and silver went where was mine it was sent to the mill to be crushed. The surrounding area has a bunch of cars, windmill, and even a gravestone if you can find it. Hidden Valley is one of my favorite places in all of Joshua Tree. The 1-mile stroll amongst the boulders and Joshua Trees is fun for the whole family. If you’re up for a little more adventure I suggest going climbing. Joshua Tree is a mecca for climbing and you’ll likely see many climbers on your visit to Joshua Tree. If your not claustrophobic, and can fit into tight spaces you might try and find the Chasm Of Doom. Joshua Tree in 1936 desert pioneer Bill Keys blasted the rocks to improve the access for cattle and today that acts as the main access point to Hidden Valley. The Chasm Of Doom a scramble, squeeze, craw and climb inside a granite maze amongst giant boulders. 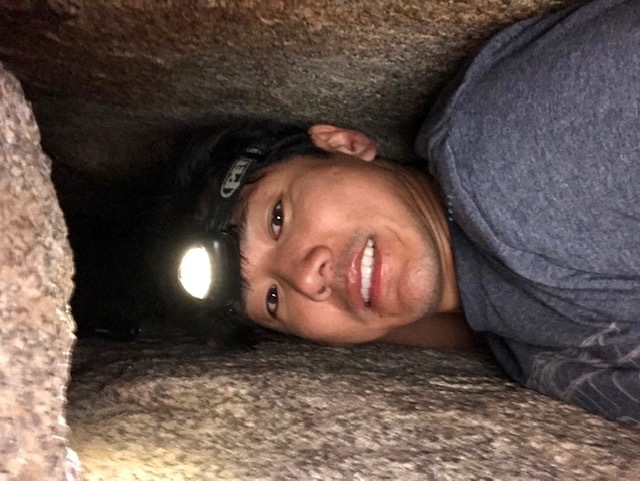 This secret set of tunnels and passageways is not for the faint of heart or the claustrophobic and It requires you to be comfortable scrambling and bouldering in the dark please exercise extreme caution. One of the most fun Active things you can do in Joshua Tree is the Chasm of Doom. It takes a bit of finding but once you do it quite a bit of fun. I suggest you find someone who has done the Chasm of Doom and asks them to take you. 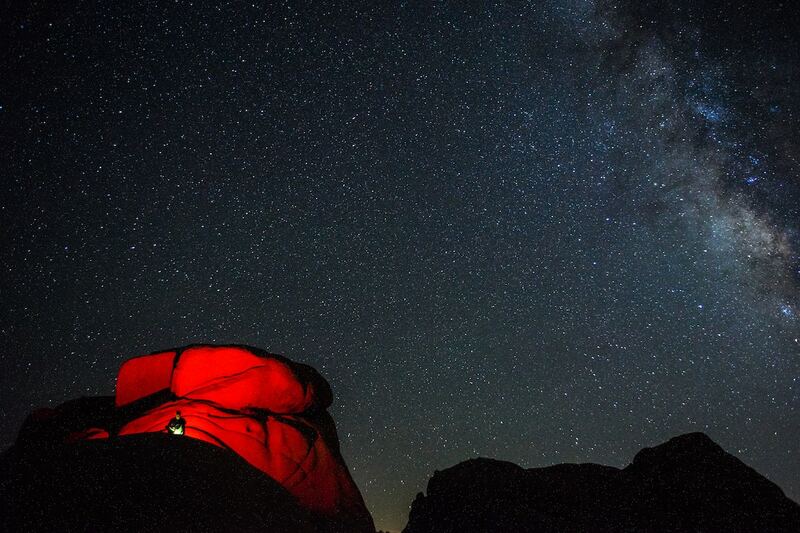 Stargazing Is my favorite nighttime activity in Joshua Tree. Living in Los Angeles it’s really hard for me to see the stars so going out the Joshua tree and stargazing is a big treat. Night Photography is also really fun in Joshua tree with all the trees and boulders. Some of my favorite spots are in Hidden Valley, Arch Rock, and Jumbo Rocks. 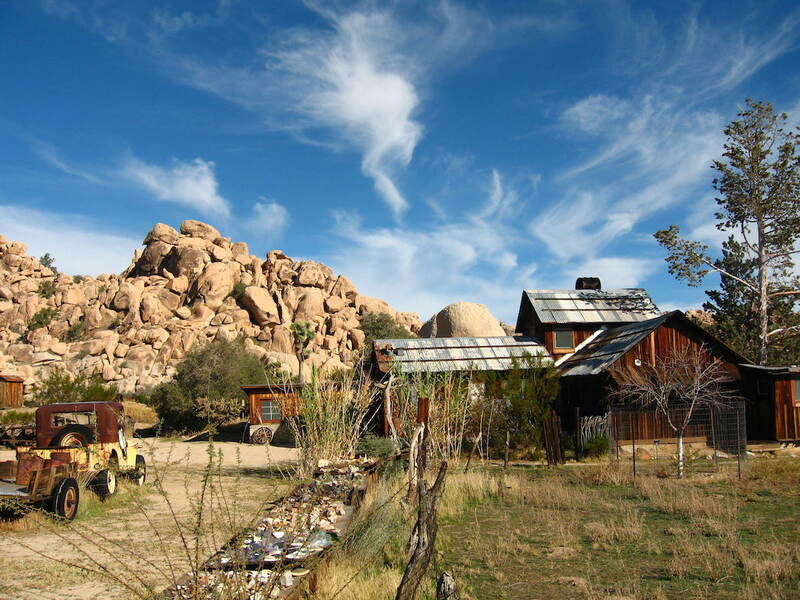 Keys Ranch is a great example of early desert settlement before Joshua Tree became a National Park. This Ranch can only be accessed with a National Park tour guide. Tickets are $10 and are available in advance. This 25 person tour is 90 minutes in length as you walk around the grounds of the Ranch and is about .5 miles. Be sure to book in advance at the Visitor Center or online. The lost horse mine can be reached by either a 6.5-mile loop or a 4 mile out and back trail. Like most of the trails in Joshua Tree, this hike is in full sun so make sure you bring a hat, sunscreen and plenty of water. The trail is mostly flat until you reach the mine then it’s a slight incline. I find it fascinating to walk around the mine and looking at all the mechanical parts. It’s also interesting that most of the mines in Joshua Tree weren’t very productive altho this one was. It produced 10,000 oz of gold and 16,000 oz of silver which by my last check would be worth over 12 million dollars in today’s value. If you have a 4 wheel drive vehicle driving on Geology Road is a great way to see what Joshua Tree looked like back before it became a National Park. 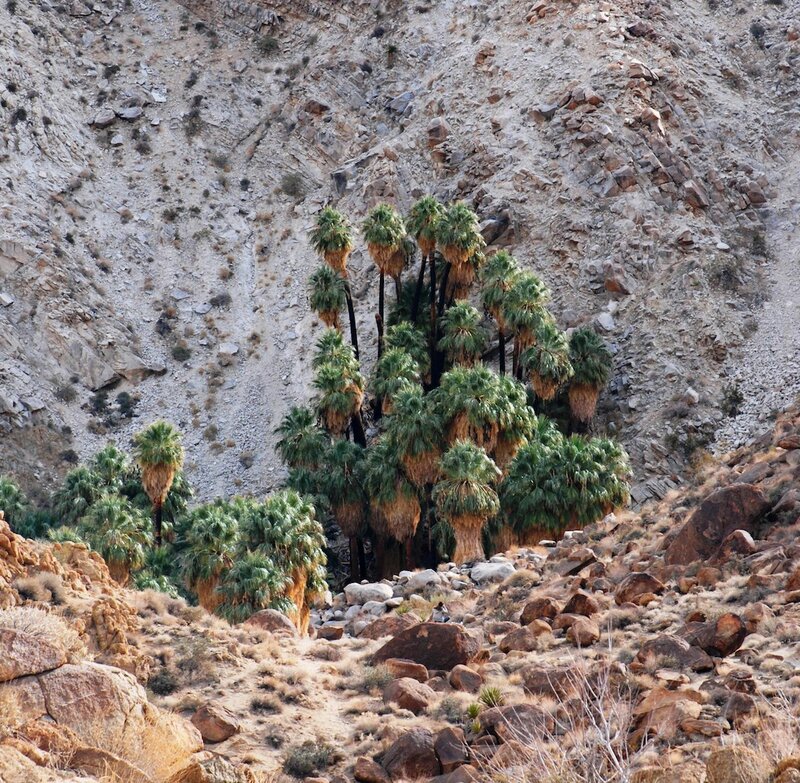 This 18-mile motor tour takes you through Joshua Trees Most fascinating landscapes. There are 16 stops along the dirt road that takes about 2 hours to make the round trip. If you’re short on time Skull Rock can be seen from the road but that doesn’t really do it justice. This 1.7-mile stroll in the park is part of Jumbo Rocks and the highlight of the rock formations is Skull Rock. Sure it’s just rock formation that looks like a Skull… But it is fun to wonder how this and all the rocks in Joshua Tree formed over the ages. Beyond that, It’s so fun to go scrambling around in this natural sandbox. This out and back three-mile trail provides nice views of the surrounding desert before descending to an Oasis of palm trees. The spring at the end of the trail gives life to these trees. I recommend starting this trail in the morning due to full sun exposure. Also, there about a 600 ft elevation gain both ways. The Hall of Horrors is a very popular rock climbing destination. You’ll likely see many climbers here on the rocks. There are a number of cracks in this area that you can shimmy through and gives this cluster of boulders it’s name. I always find this rock formation super fascinating. I was wonder what happened the day the rock split. What was the weather like, what was the temperature, what happened exactly to cause the split? You can climb inside and get a good view of the fracture. This rock is the start of a 1.9-mile trail that not many people hike on if you’re looking for solitude.